Buy a Fitbit Ionic™, Charge 2™, or Alta HR™ and get a free 90-day subscription of Fitbit Coach Premium. ** Offer ends January 13. *Sale applies to select products and sizes. Offer ends Jan ‌13,‌ 2018 at 11:‌59‌pm ‌PST. Offer includes up to ten (10) Fitbit products in any combination and applies to orders placed on Fitbit.‌com only. Exclusions apply. Cannot be combined with other discounts or applied after the order has been placed. Terms of offer are subject to change. Void where prohibited. While supplies last. 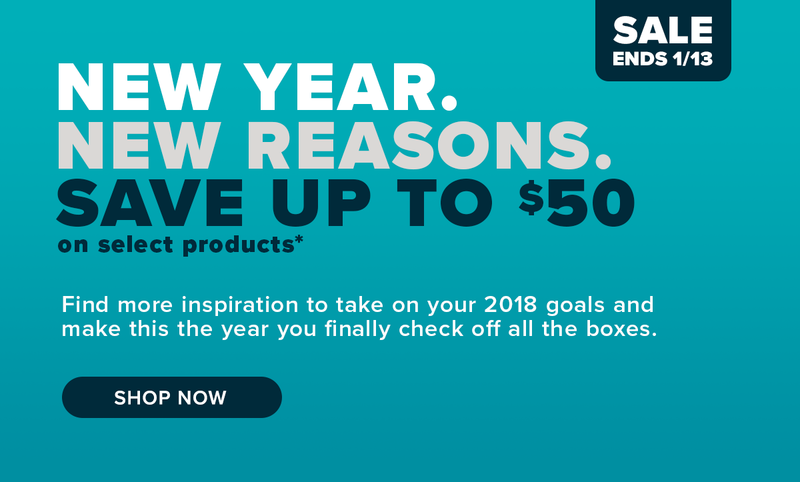 **Offer valid on purchases of Fitbit Ionic, Charge 2 or Alta HR from 12/‌26/‌2017 – 01/‌13/‌2018 on Fitbit.‌com only. Users will receive an email with instructions on how to redeem this offer by 1/‌20/‌2018 and must redeem the offer by 1/‌31/‌2018 at 11:‌59‌pm PST. New Fitbit Coach Premium (“FBC Premium”) users only. Only one offer may be redeemed per customer. US and CA only. Your 90-subscription to FBC Premium will start on the date of activation. A valid credit card is required to register for FBC Premium. Per Fitbit’s policy, your credit card will be charged at the end of your free 90-day subscription unless you cancel your subscription. Offer cannot be exchanged for equivalent cash value. Terms of offer are subject to change.